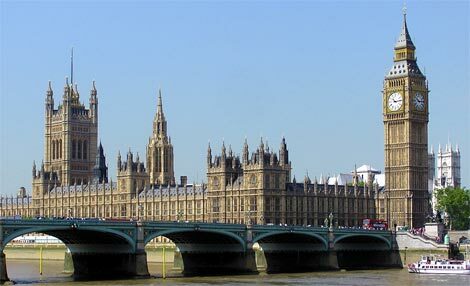 The Association of International Property Professionals (AIPP) took its battle to establish standards for the industry – and more safety for British consumers – to Westminster last week. THE ASSOCIATION of International Property Professionals (AIPP) took its battle to establish standards for the industry – and more safety for consumers – to Westminster last week. The occasion also saw a new free legal advice service to buyers. Tuesday (18th) saw the launch of a White Paper entitled AIPP guidelines for the sale of overseas land and property to buyers from the United Kingdom, free to download here, at a reception at the Palace of Westminster where the Board of the AIPP were there to meet MPs interested in the subject and to press the case. Also present at the meeting were Jesulado Ros Tonda, Secretary General of Provia, the Spanish Property Developers Association, Paul Gardner Bougaard of the Resort Developers Association, and Denise Boyes and Mike Stead from the Foreign and Commonwealth Office, who were the architects of the Know Before You Go campaign to advise Britons buying and moving abroad; Gerry Fitzjohn the Vice Chairman of the Property Ombudsman and Michael Reeve the CEO of AFPOP, the Portuguese residents’ association. @Andrew. Exactly – but evil Lord Blackadder & side-kick Baldrick were a pair of good Samaritans at the side of the people who architected this egregious scam. And I don’t believe it should be too late for many. There are thousands of us – and that’s too many to be swept under the carpet. I can’t speak for anyone except me – but I’m not giving up sorting this out without a very hard fight indeed. I’m prepared to go on slugging it out in a manner that would have made Ali at the height of his fame look a whining prima ballerina who’d just laddered her tights. These AIPP recommendations are a step in the right direction but come too late for many. Note that the LAWYER is not mentioned as someone who should be checked as part of the due diligence process. Because clearly any buyer would expect their lawyer to be beyond reproach. Yet most problems encountered in Cyprus could have been avoided if Solicitors would have told buyers about developer mortgages. Many of these mortgages are now described as NPL. Q. Why were these mortgages kept hidden? A. No one would have bought a mortgaged property. Q. Why did banks not ensure payment from developers when individual properties were sold on to unwitting buyers. A. Because they knew that any future buyer would be the ultimate guarantor. Baldrick had a cunning plan it or so seems! All of which is fine going forward. No rep attended from the relevant Cyprus bodies then? Why am I not surprised? If the British Government had a proper page setting out the pitfalls, poor legislation, corrupt government practices, poor level of intelligence possessed by local lawyers on buying homes in overseas, poor standards that are not in accordance with building practices, the list goes on, now that would be a start. It is not enough to have a site saying “Take care”. There should be examples so people can understand the dangers. There should also be a list of solicitors to avoid. When I used a solicitor who advertised as “UK trained” I was told that the law was the same as in the UK. I assumed I was getting the same level of care. The British Government were, or should have been aware this was not the case. They have a duty of care towards their own people. If it were oversea citizens coming to Britain who were getting ripped off and paying for poor standard of lawyers the British Government would be up in arms, shouting from the roof tops, but for their own; the level of noise is silent. But because it’s only Brits getting ripped off overseas the feeling is it serves them right. We the British Government owe no duty of care to their own people who they perceived as leaving a country and abandoning their birthright.